As you all should know by now, LibreOffice is already the new default office suite for Ubuntu 11.04 Natty Narwhal. You can even install latest LibreOffice in Ubuntu Maverick, Lucid easily via LibreOffice PPA by following the instructions here. 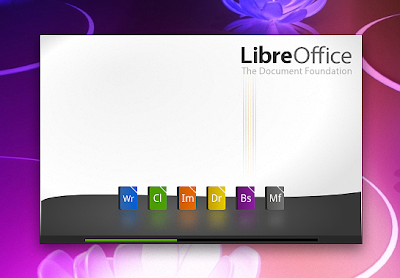 Now, here is a very good looking and very creative LibreOffice splash screen that demands your attention. Hope you all liked this small yet beautiful modification of LibreOffice splash screen. You might want to check out this collection of impressive LibreOffice UI mockups as well.